Tynor J-15 Knee Wrap Hinged (Neoprene) is a versatile knee support which offers the advantage of controlled compression around the knee and the rigid side support of a splint. It allows normal flexion and free movement of the knee joint. 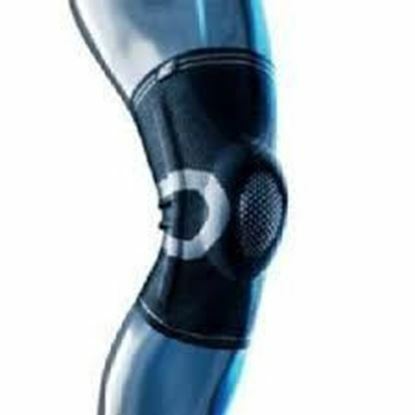 Available sizes; S (14.8"-17.2") M (17.2"-19.6") L (19.6"-22") XL (22"-24.4") XXL (24.4"-26.8") Salient features of Tynor J-15 Knee Wrap Hinged (Neoprene): Ensures customized compression. Easy application, better sizing flexibility, and better fitting. Ensures longer life, appealing aesthetics, and color fastness. Better body heat retention increases blood circulation for faster healing. Skin friendly. 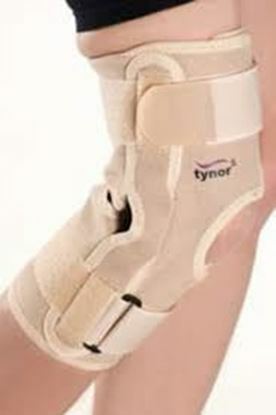 Tynor G-05 Leg Traction Brace is a traction halter applied to the leg for below knee traction. It offers a distinct advantage of a very large holding surface area, ease of application and removal , reuse and patient comfort. 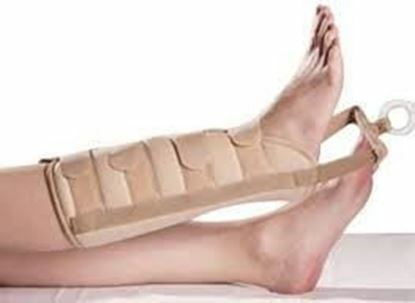 Available sizes: S (9.8"-11.3") M (11.3"-12.8") L (13"-15") Salient features of Tynor G-05 Leg Traction Brace: Ensure controlled compression. Easy application and removal. No loosening, less monitoring. Eliminates need of an adhesive. Convenient and quick to apply. Ensures no skin peeling. Ideal for weak or geriatric skins. Comfortable cushioning through the middle. Tynor D-04 Knee Cap (Pair) provide mild compression warmth & support to the limbs and joints, to allay pain and inflammation, generally associated with old age, arthritis, sports injury etc. Available sizes: S (14.8"-17.2") M (17.2"-19.6") L (19.6"-22") XL (22"-24.4") XXL (24.4"-26.8") Salient features of Tynor D-04 Knee Cap (Pair): Better sweat absorption. Better comfort. Better patient compliance. No allergies or rash. Two layers enclose air space retains body heat effectively. 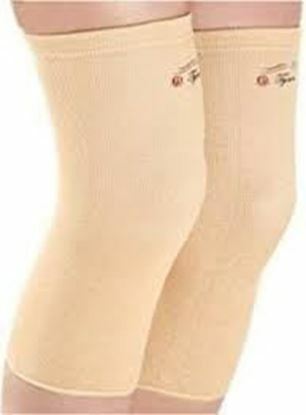 Provides therapeutic warmth and assuring support to the knee. Effective compression. No vaso constriction. Vissco Active Protect Cast & Bandage Protector for Leg- H1038 serves a dual purpose and protects both the cast and the cotton padding from getting wet and soiled. Size: Universal Key features of Vissco Active Protect cast & Bandage Protector For Leg- H1038: Made from a durable, transparent Pvc fabric. It fits snugly over the limb when applied and sealing is done with the help Of fastening straps. This protector makes the fitting watertight and keeps the Cast Dry. 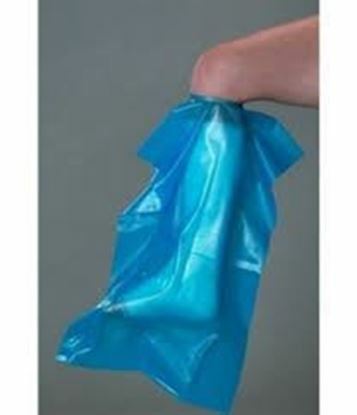 Uses: For protecting both, the cast and the cotton padding of the cast from soiling or getting wet. Tynor D-09 Functional Knee Support is an anterior opening device, which offers the advantage of controlled compression around the knee and a rigid lateral support and immobilization. 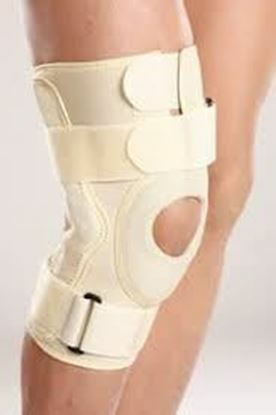 It allows normal flexion and free movement of the knee joint. Available sizes: S (14.8"-17.2") M (17.2"-19.6") L (19.6"-22") XL (22"-24.4") XXL (24.4"-26.8") XXXL ((26.8"-29.1") Salient Feature of Tynor D-09 Functional Knee Support: Bi axial heavy duty aluminum hinge mimics the natural knee joint, ensures full weight bearing and allows free flexion movement. Four-way stretchable fabric offers controlled and comfortable compression, and no vaso constriction. Open patella design release patellar pressure and hold the patella in position and can be used for Patellofemoral diseases. Wrap design with anterior closing for easy application and removal on swollen or asymmetric knees and allows customized compression Ergonomic design with Anti tourniquet effect — ensures no constriction to blood flow and better grip of the product to the body.